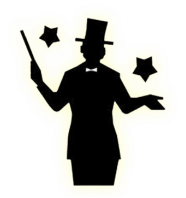 The first World Festival of Deaf Magicians was held in Leipzig (Germany) in 1986 and since then it had been organized every second year. The last festival was held in Chicago (USA) in autumn of 2015. Two deaf magicians Michail Chovanskich and Vilius Glusokas from Panevezys (Lithuania) participated in it. We had received fantastic news there: Panevezys has the honour to organize the XVI World Festival of Deaf Magicians. We also brought the historic flag with the symbol of deaf magician to Panevezys. It is a big obligation, honour and responsibility. Panevezys is a city to visit, to enjoy and to discover. Panevezys is a city situated in the Northern and Central lowland, on both banks of the river Nevezis. The name of the city originates from the name of the river which is 209 km long. In Panevezys the river is about 30 m broad, 2- 3 m deep. Panevezys is the centre of Aukstaitija Region, green and clean city. Panevezys has a very good geographical position. It is situated in the midway between two Baltic capitals : Vilnius (135 km) and Riga (150 km). The distance to the ice free seaport Klaipeda is 240 km. There are three airports in Lithuania: Vilnius, Kaunas and Palanga. The old river bed is the nicest place in the city. The old river bed became a nice pond after the river started streaming along its new bed. Every year on September 7th the city celebrates its birthday and the old river bed is busy with craftsmen fairs, concerts, sport and cultural events. The old river bed is a cosy green spot with a 12 m fountain, swans and ducks. Original sculptures created during the international sculptors symposia decorate the old river bed, besides the monument to the Grand Duke of Lithuania and the King of Poland Alexander is erected. The locals go for walks there. The banks are covered with a soft grass velvet tempting to sit downPaneve. On the other side of the river the red bricked towers of neo roman Sts. Peter and Paul church are visible. Panevezys was famous for mills. One of them, built in 1848 nowadays is a four star hotel Romantic. Cultural Centre Panevezys Community House is located on the banks of the Nevezis. The city is made unique and known by people who lived or lives there. One of the first Professional Lithuanian sculptors Juozas Zikaras came from Panevezys. He created the famous Liberty sculpture (in Kaunas). The urban landscape is marked by the Cathedral on the hill top, wooden houses, old treles in the parks, the main square, modern banks, shopping centres, There are cafes, teraces on the main square. Market place is within a walking distance. And in general, Panevezys is a compact city, you can reach easily each destination on foot. Glass making tradition is cherished in the glass art studio Glassremis. You can witness how a simple glass mass becomes a piece of art. A unique open air museum is a 70 km long narrow-gauge railway Siaurukas offering special and educational trips. In the suburbs of Panevezys there is a private museum with a big colection of record- players, spinning lathes etc., the oldest exhibit of which dates 1714. Panevezys- the capital of Aukstaitija region. Its population is 105, 2 thousands (01 01 2015). During the twenty five years of independence the number of residents decreased, however, the fifth largest city of Lithuania remains vital, creative, hospitable and ambitious. The XVI World Festival of Deaf Magicians will be held in Panevezys (Lithuania) on September 4-11, 2016 in the centre of the city, in the old river bed, on the banks of the river Nevezis. This Festival in Panevezys will be special and jubilee: 30 years anniversary for the world festival of deaf magicians tradition. „Lonely Planet“ has chosen Lithuania as a country among top ten to be visited (after Singapore and Namibia). We kindly invite ou to participate in the XVI World Festival of Deaf Magicians. You are very welcome and we hope you bring nicest impressions home with you.